Meal Kit Delivery Services: How Will Your Restaurant Compete? 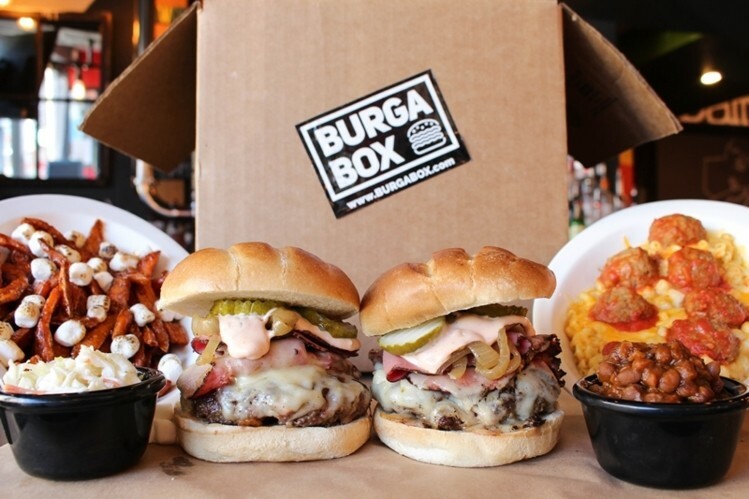 Home/Restaurant Industry/Trends/Meal Kit Delivery Services: How Will Your Restaurant Compete? Each morning, I listen to a podcast on my way to work. Without fail, at least twice a week, the regular programming is interrupted with advertisements for Blue Apron and HelloFresh. You’ve probably heard of these companies too. They, along with a slew of other meal kit services, deliver pre-portioned ingredients straight to customers’ doors so that they can make restaurant quality dishes like brown butter gnocchi and provolone burgers with marinated kale at home. The meal kit delivery concept originated in Europe in 2007 and has exploded in the United States over the past few years. Now, there seems to be a delivery service to cater to every culinary niche. For example, Sun Basket offers paleo, vegan, vegetarian, and pescatarian options, Purple Carrot is 100% vegan, PeachDish focuses on Southern specialties, and GreenBlender is exclusively for those who prefer to drink their meals. Collectively, meal kit services are said to rake in a whopping $1.5 billion in sales each year and, as of last year, the industry was worth an estimated $4.65 billion. So, where are those billions of dollars in sales coming from? According to Nielsen, one in four Americans had tried a meal kit service as of March 2017. Neilsen’s study also found that men of all ages are 40% more likely to purchase meal kits than women of the same age and that Millenials and Gen Xers are 321% more likely to buy them than older generations. Moreover, households with children are 326% more likely to purchase meal kits than households without children. While restaurant traffic has slowed over the past year, meal kit sales are growing exponentially. Now, grocery stores and other major retailers are getting in on the action. In 2017, Kroger introduced a line of Prep+Pared meals and Amazon began offering meal kit deliveries to select cities. This year, Walmart rolled out its Home Chef Meal Kits at more than 2,000 of its stores. This means that meal kits are now more readily available to the general population than ever before. Therefore, it’s not so hard to believe that the meal kit delivery market is predicted to be worth about 11.6 billion dollars by 2022. So, how can your restaurant compete with these services? We’ve compiled a list of ways you can make sure you don’t lose sales to meal kit delivery services. In order to compete with meal kit delivery services that automatically send meals to customers’ doors, you should make ordering ahead as quick and easy as possible. For example, instead of requiring customers to place pickup and delivery orders over the phone, allow them to place their orders online. Not only is online ordering convenient for your customers, it’s also better for you! 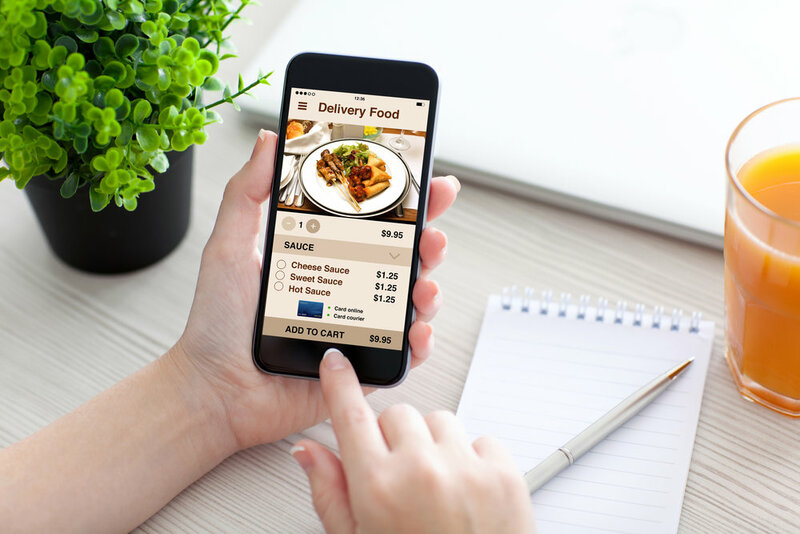 Online ordering improves order accuracy (there’s no risk of mishearing a customer and customers can check their selections before they submit them) and digital orderers spend $4 more on average than non-digital orders. If you’re already partnered with a third-party food ordering service like Grubhub or Seamless, that’s great. Not only do these services make ordering easy, they can also make it easier for new customers to find your restaurant. It can also be very beneficial to implement your own in-house online ordering software so that customers can place their orders directly on your website. Not only does in-house software allow you to customize your interface, you also won’t lose profits to middlemen. As a result, you’ll boost your revenue. Check out how easy it is to place and customize your order on Boloco’s website. According to a study conducted by Market Force Information, of respondents who had tried a meal kit service, 44% did so because they thought it would be a fun experience, 27% did so because they wanted to learn new cooking techniques, and 26% did so because they wanted to improve their culinary skills. You can offer diners all three of those things by holding cooking classes at your restaurant. 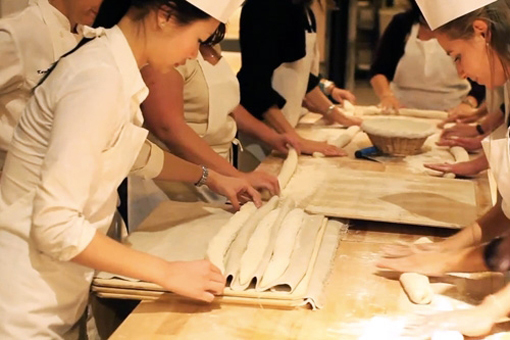 Restaurant-bakery Le Pain Quotidien holds a variety of cooking and baking classes. Prospective students can choose from a course catalog including artisan pizza making and biscuit and scone making. New York eatery Thaimee Table, formerly Ngam, offers Thai cooking classes. Whatever your restaurant’s specialty is, diners may be interested in learning how to make it. Consider gaging interest in a class at your restaurant in order to boost revenue. Another common reason that individuals opt for meal kits is for their high-quality ingredients and options that accommodate different dietary restrictions. Many meal kit services heavily advertise their use of organic, antibiotic-free, and sustainable ingredients as well as their low-calorie and diet-friendly options. Additionally, home-cooked meals are generally assumed to be healthier than restaurant ones. Because restaurants meals often get a bad rap for being unhealthy, you should make it a point to mention if ingredients are organic or locally sourced and if dishes are vegetarian, vegan, gluten-free, or otherwise healthy options. You should also make it as easy as possible for customers to alter dishes to accommodate their particular diets. Some restaurants even note on their menus which items can be made vegetarian or gluten-free upon request. Many of the meal kit companies offer special deals to attract new customers. For example, Blue Apron offers $20 off of each of customers’ first three boxes and HelloFresh offers up to 50% off customers’ first boxes. According to Fast Company, all of the price competition between services leads many customers to jump between companies so that they can take advantage of the discounts that each of the companies have to offer. Clearly, discounts are a good way to acquire customers. So, to better compete with meal kit delivery services, consider offering coupons or Groupon deals or implementing loyalty programs that reward customers for repeat visits. In case you need another incentive to start a loyalty program, customers spend 46% more when businesses have loyalty programs. Finally, you can try offering meal kits of your own. 49% of adults said they would buy a meal kit from their favorite restaurant. So, why not give the people what they want? You can either try a pilot program in which you deliver meal kits that help customers prepare your most popular dishes at home to their doors each week or just sell meal kits at your location. 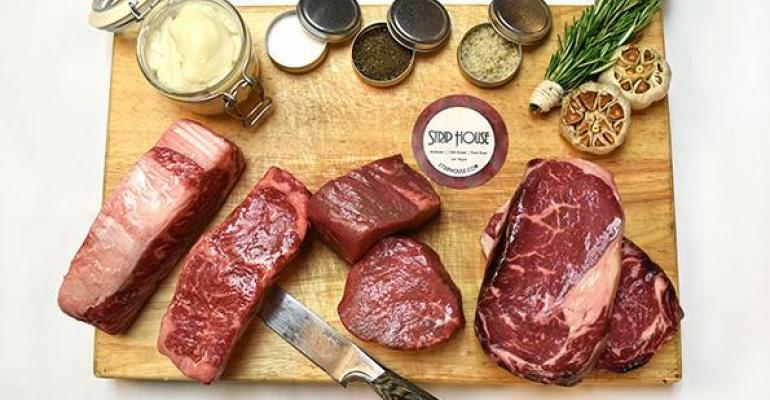 Strip House in New York City offers “Steak to Go” kits that include two each of barrel-cut filet mignons, prime center-cut strip steaks, and dry-aged boneless ribeyes as well as the restaurant’s signature pepper blend, oil, seasoning, steak sauce, and grilling tips. They typically sell 20-30 kits each week. 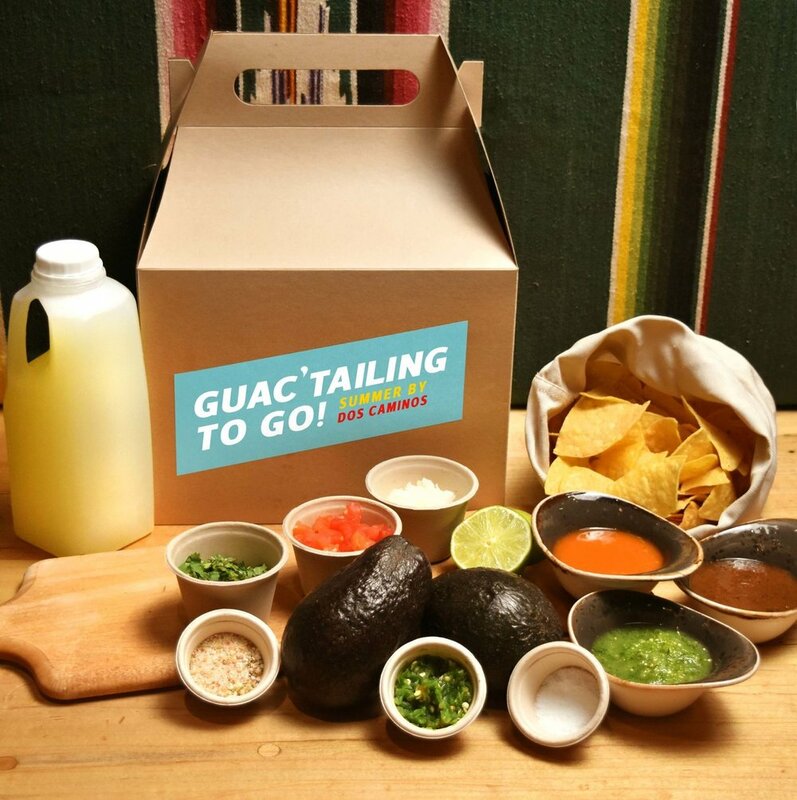 Dos Caminos restaurant offers a “Guac’Tailing To Go Kit” that includes all the ingredients customers need to make guacamole and margaritas at home. Meal kit delivery services are everywhere. Is your restaurant ready to compete?